The end of season discounts are coming, most have already started by now. Like every time, all the stores in the world will be offering thing for up to 70% off. Great deals, right? Well, great if you want to spend money on suboptimal things you don't really need or even want. 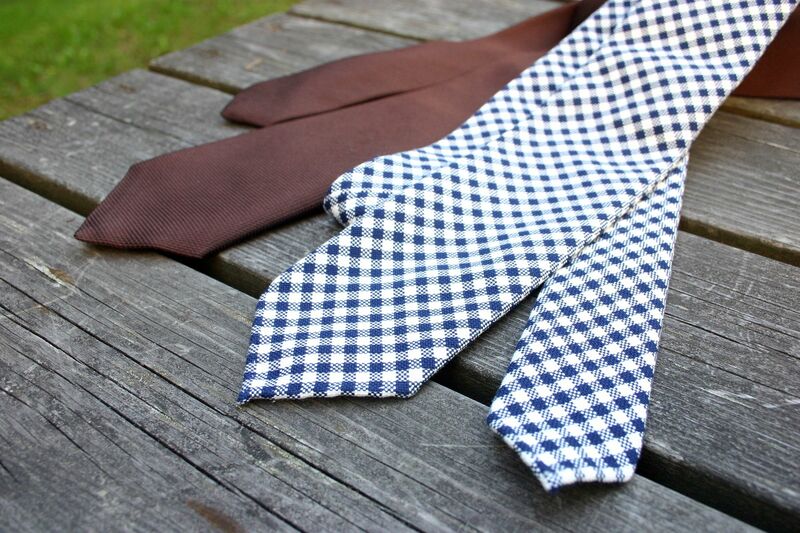 A couple of ties bought from summer sale. Don't think I wore either for more than a few times ever. Money wasted. I used to shop around during the discount period as well, and while I've admittedly found some good items on sale, I've definitely burned a ton of money for absolutely no gain at all. Like my friend Mika at Ohituskaistalla wrote, paying 50% of something on sale means you're still probably paying 50% for something you do not need (not exact words). Chances are these things will be buried in your closet. Also, if you're anything like me, you'll for sure have that nagging voice inside your head telling you you're currently not wearing exactly what you wanted, but something you found on sale instead. Save up, buy exactly what you want and nothing else. This is also quite a bit more sustainable for our planet, if you care about that sort of things. 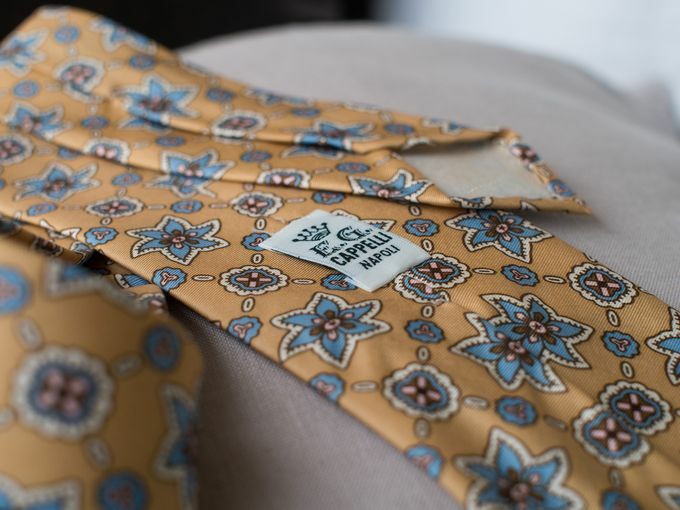 Bespoke Cappelli tie. Something I wanted and therefore had made for me. Will hold dear for decades. Money saved in the long-term and happy me.